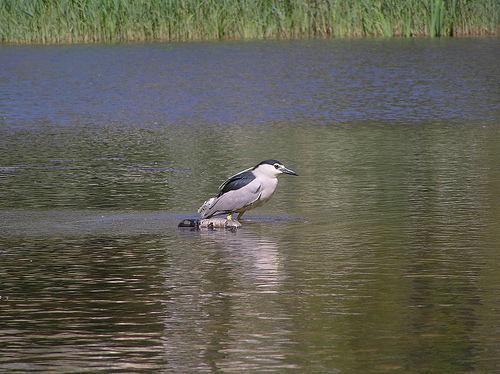 The Black-crowned Night Heron is a heron that can be seen primarily in the evening or at night. In swamps and willow woods it hunts for frogs, fish, and everything it can eat. 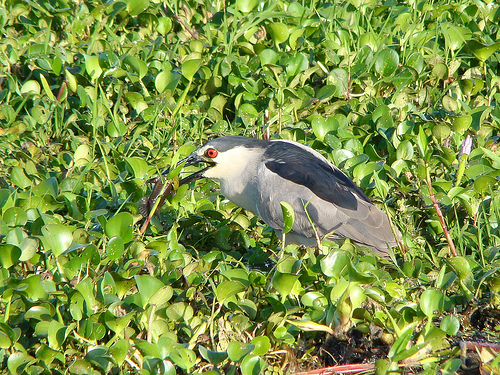 The Black-crowned Night Heron is much smaller than the Grey Heron. It also has a shorter beak.